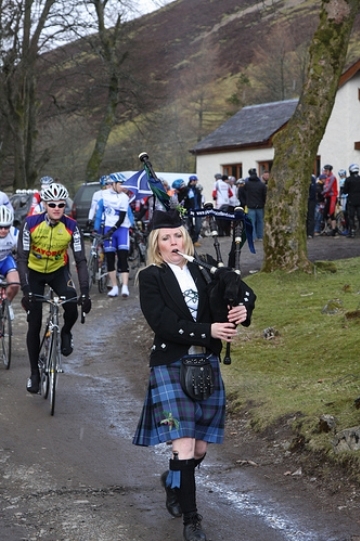 Over the last few years I have helped to promote cycling in Britain by piping at high profile cycling events. This has included piping for Sir Chris Hoy when returning to Edinburgh with his Olympic Gold medals, heading off the Edinburgh Nocturne Series and piping at the Super Six Series on behalf of Scottish Cycling!!! Pictured here with Elite Riders DAVID MILLER, CAMERON MEYER and GARETH THOMAS! 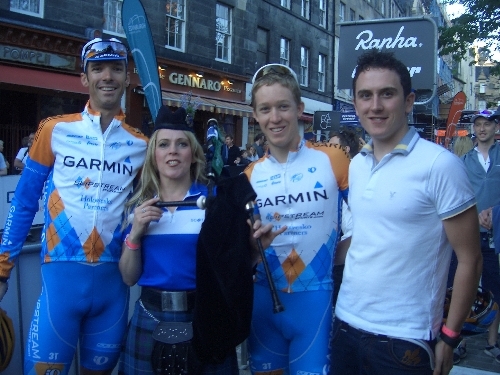 Wearing my Scottish Cycling Jersey and about to head off the races at THE EDINBURGH NOCTURNE SERIES 2009! 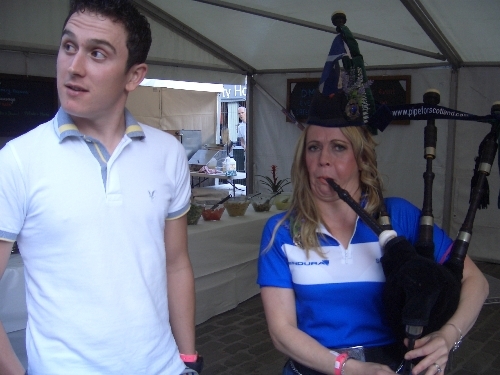 Giving Gareth Thomas a Bagpipe Lesson!! Having a wee tune over the tanoid as the cyclists get ready for the race!! Pictured here with Hugh Porter MBE, one of Britain's greatest professional cyclists and top BBC TV commentator! Piping at the start of the Elite Race!! Just about ready for the start! Better get out of the way quick!! 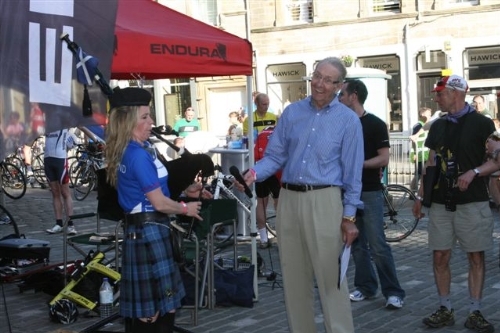 Congratulations to the winner of the Elite race at the Edinburgh Nocturne Series 2009, David Miller! Having a wee tune on the podium!! 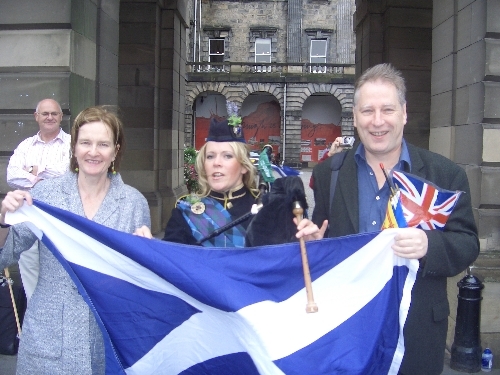 Piping here for Sir Chris Hoy along with his Auntie Christine and Uncle Derek outside the Edinburgh City Chambers! Awaiting Sir Chris's arrival with his gold medals and fellow Olympians during their open-top bus tour of the city! 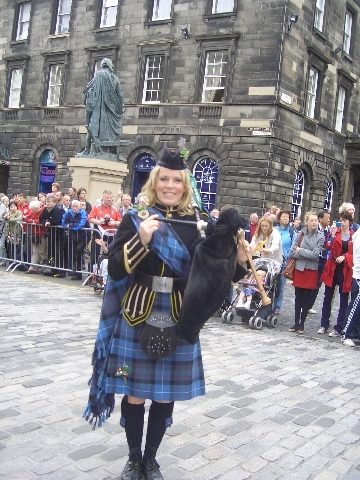 Sir Chris Hoy's fiance, Sarra Kemp, having a wee tune on my pipes! 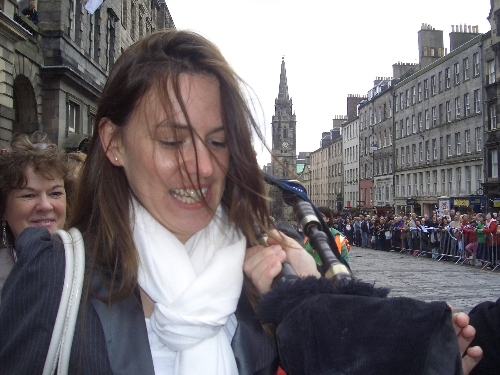 As we all await the arival of Sir Chris, as well as thousands of fans, lining the Royal Mile to cheer our Olympians on with their medals!! About to play as the bus arrives!! With our Olympic hereos on board!! 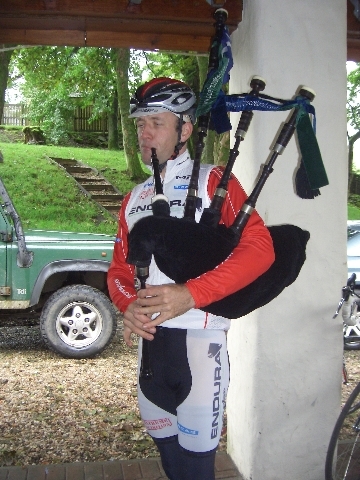 Commonwealth Cyclist (and Piper), Evan Oliphant, having a wee tune on ma pipes before the race!!! 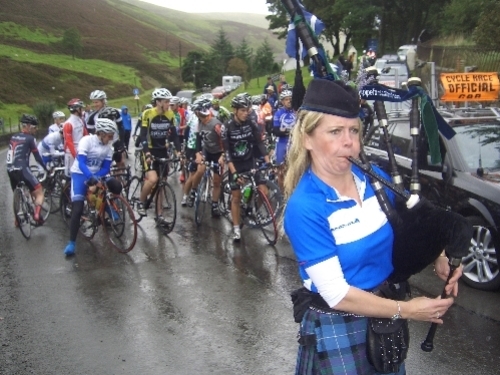 'Super Six Series', Wanlockhead, September 2009 - we had a bit of a hoot! 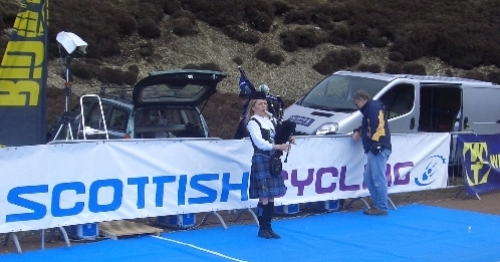 Heading off the Elite Super Six Series Race at Wanlockhead September 2009 on behalf of 'Scottish Cycling'! In Scotland's highest village for the 2nd year running"
Piping on behalf of Scottish Cycling 2008! 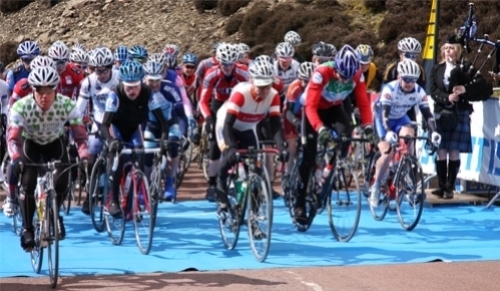 Leading the cyclists to the start line at Wanlockhead, Scotland's highest village!! Piping for all the cyclists as they head off! 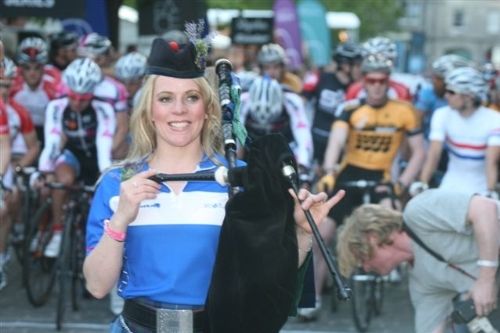 Piping at the finish line of The Super Six Series on behalf of Scottish Cycling!! Comprising Olympic and Commonwealth elite Cycilists!